As my time left in the US dwindles away, the whole concept of studying abroad is becoming so much more real to me. Looking back at the workshops, I’m thinking a lot about the separation phase of the traditional Rites of Passage theory. I know we talked a lot about how effectively separating from your home community is very important in order to truly complete the Rites of Separation. The separation phase is what I know is going to be the most difficult thing for me. We discussed social media, and how that both helps and hurts the separation phase because it makes people able to communicate much easier, even from across the world. This concept really stuck with me, and it makes me think about how often I should be connecting with people from home. What is the correct amount to speak to my friends and family from home? I don’t want missing home to take over my whole experience, but I also don’t want to lose touch with my friends. The workshops also made me think more about thinking, as crazy as that sounds. We talked so much about planning and reflecting, which are things I hardly ever do. Even if I make a plan, I rarely stick to it. I prefer doing things spontaneously. However, I know that, especially going to a different country, planning is really important if I want to get the most out of my experience there. I also know that it is important to reflect on emotions, actions, and thinking. I really want to try to plan and reflect more throughout my study abroad experience. I think that will help to make the whole experience even more enriching. I know it’s early to be thinking about coming home already, but I also have been thinking about reincorporation, that is, coming home to the US after my time in London. We learned in the workshops that the Rite of Passage should serve as a transformation for the individual and the community in which he or she resides. I think Slimbach put this very well when he said, “Global learning must be not only in the world but also for it. Educational travel should leave the world a saner, stronger, and more sustainable place” (Slimbach 8). This puts a very broad view on the concept of reincorporation into the global society post-studying abroad. He says that you should transform the world through your experience. We have been talking about transforming our communities on a much smaller level, meaning at Quinnipiac or in our hometowns. However, we are becoming changed members of the global community, as well, and I really liked that Slimbach drew attention to that. This really pertains to studying abroad, especially for me. I have spent almost my entire life within the borders of the United States, so I have never truly experienced another culture. I’m hoping that by implanting myself in England I will really get to see what they live like, and how it is similar and different to the US. I also hope that I will be able to, in some small way, make the world a better place. There is another quote from the Introduction to Becoming World Wise that I believe really connects to the Liminal Phase of the Rite of Passage theory. We learned in the workshops that the Liminal Phase consists of challenges, mentors, communitas, and tricksters. Slimbach writes, “In a world that is smaller and yet more complex than ever before, our educational challenge is to understand and to value both our differences and our commonalities, our separateness and our togetherness” (Slimbach 6). This encompasses the general nature of communitas, since the students that I’m studying abroad with are going through the same experience, so we are similar. At the same time, we’re all from different places and studying different things, so our individual experiences will be different. However, we have to bring our similarities and differences together in order to help each other complete the Liminal Phase. My birthday was recently (Finally 19), and my mom got me so many things related to London. She got me a traveler’s guide to London, several maps of the city, and this special spray she had researched that apparently everyone uses. You spray it on your shoes to make them water resistant (sin ce it rains all the time in London). All of this helps me to learn about the place where I’ll be living. I also selected a travelogue to help me learn more about the culture of England. This book is entitled A Fine Romance: Falling in Love With the English Countryside (picture from Amazon) by Susan Branch, an American woman who visited the country parts of England in addition to the cities. I chose this book because I thought it would give me another point of view of England. I will be living right in the center of London, so I know I will be immersed in the culture of the city from the start. But I also know it is really important to experience the countryside as well, because that is part of the culture of England, too. I’m really excited to embark on this amazing journey: 11 days! In some instances, the hardest information to share is your own thoughts with the people that are closest to you. This is generally because you aren’t sure how they are going to react to the words that you want them to either hear or read. In order to help my girlfriend understand the thought processes that I am having while entering into this study abroad experience, I decided to address my separation letter to her. I thought she was the most important person to share this information with because we spend almost every single day together and if we are not together in person, we are most likely texting each other. I wanted to share this letter with her in an area that I knew she was comfortable in and I made sure that I wasn’t in the room so she had some time to herself to read it and then we would be able to discuss it afterwards. I didn’t want the information that I was sharing with her to upset her so I decided that it would be better to share it after the holidays so I gave it to her after all of the festivities as a way of winding down the end of the day. To be completely honest, I was surprised by her reactions, she was anticipating that she would be upset by what I had to share with her as I had informed her that I needed to write a letter for my class and that she was the person that I would be addressing it to. She told me that when I gave her the letter that I should be surprised if I came back to her with tears in her eyes, but to my surprise there was not a tear to be found. Instead, the only initial comment that I received about the letter was that there were some grammatical mistakes that she considered fixing while reading the letter, but went against her better judgment. With regards to the letter, I decided to use a quote by George Bernard Shaw, which said, “Progress is impossible without change and those who cannot change their minds cannot change anything.” I decided to include this quote because I think it perfectly describes the mindset that I have. I have always had goal that I wanted to accomplish in my life and as I get older, I feel that I am coming closer and closer to those goals. With that being said, I need to take this trip in order to make some changes and without making those changes there will be no progress made. By making that change or separating I can potentially change anything that I set my mind to. After writing this letter and following through with the exercise, I feel that I am ready to separate form what I am familiar to. I know that there are going to be challenges and this being my first time away from home for an extended period of time I expect to become homesick, but I know that that will only be an initial reaction and as I become accustomed to my new environment it will be hard for me to be able to leave in the end. I think the fact that I am so connected with my friends and family that I may have some trouble in the beginning to separate because they will want to know what I am doing and how things are different over seas, but I have to keep in mind that I am taking this journey to discover myself and what it is like to be on my own in the world. While looking toward the future and what this experience holds for me, I believe that a successful education abroad experience will leave me having a better understanding of my place in this world and how small the United States is compared to the rest of the world. We, as a nation, are always paying attention to what is happening inside of our country, but only pay attention to the rest of the world when something catastrophic has happened. I want to get away from that thinking and I think by taking this trip, I will be able to find my focus. As Slimbach noted, “The goal of educational travel is to help us navigate this complex and contradictory world while challenging the limits of our intellectual and intercultural abilities.” (Pg. 8,Slimbach) This experience that I am undertaking is to challenge myself in this ever-evolving world and be able to comprehend the reasons why those changes are happening. An unsuccessful abroad experience would leave me taking nothing from the trip and being homesick the whole time, which I could never imagine happening in a million years. In order to measure the success of my journey, I plan on keeping my own personal travel journal to make not of what I am experiencing, in order to be able to recall the memories that are being made as well as something that my friends and family will be able to read when I come home. This journal will be my way of measuring my success because it will allow me to recall everything that I have accomplished while abroad. I know that there are going to be things that I am going to encounter that are going to be strange to me and since I am expecting it to happen it will not be as much of a shock for me (hopefully). I have always had an open mind so that it the one trait that I am going to rely on when faced with a new experience because you will not learn anything if you are not open to trying something at least once. When I was younger I wasn’t allowed to leave the dinner table until I ate as many bites as our age of something new that was presented to us during the meal. That is a lesson that I am going to remember for the rest of my life because I will always try something once before passing judgment on it. In order to describe my journey so far, I want to include a picture of my biggest supporter. Although I know that she is going to miss me like no other, she knows that I need to take this journey and she is going to take a journey of her own in order to make some personal growth. This picture symbolizes my journey so far because of there is a separation between my best friend and I but even though there is distance we are still happy for each other because we are following our dreams and that is what this entire journey is about, following my dreams. Another concept that resonated with me was the reflective process; I think this concept stuck with me so much was because I think this entire trip is going to be a reflection for me. The experience of being abroad and depending on yourself and the skills that your parents equipped with you over the years will be an interesting trial of life on your own. The only way of being able to appreciate what you have done in life is to reflect on it and I fully intend on doing so while I am away. I find it interesting how the contents of this book are so closely related to the concepts being taught in the class. It makes me wonder if the guidelines were written first and then the book was found or if the book was found and then the class was based around it. The concept of a global community is something that I think to be of importance in the journey that we are undertaking and under the heading “The Common Good” in the introduction something similar to that is referenced. Slimbach says “Global learning must be not only in the world but also for it. Educational travel should leave the world a saner, stronger and more sustainable place.” Those words spell out global community to me and by traveling abroad we are able to promote the “common good” and fulfill the global community. It is easy to talk about a particular topic, but it is more effective to have direct contact with the source of the problem. It is like the saying goes “Actions speak louder than words.” We are leaving our homes and the places that we are familiar to in order to gain a deeper understanding of the world around us. Slimbach makes mention to the concept of separation without directly mentioning the words, he says, “More than likely they will experience a weakening attachment to family and place and gradually branch out, like their counterparts in the West, to create and control their own lives.” I believe that this stage happens at many times throughout our lives and although we may separate it is not always a permanent transformation, but a new status has been created. Slimbach says that the most important aspect of this transformation is that we discover things that are new to us and through this experience we will be doing just that. We are leaving our families and everything that we know behind in order to find out for ourselves exactly what we want. For some it is in an academic sense, for the degenerates it is a life of partying. out the humor in the book and I thought that that was an important aspect because I wanted to be able to read something that I was interested in instead of just buying a book for a class. I also thought it would be an interesting perspective because the author is from New York so I thought that there might be some similar thinking present while on my own pilgrimage. Happy holidays to all those who celebrate! It is unbelievably exciting to think that in a little more than two weeks I will board a plane to Belgium, where I be living for the next 5 months (8 if I decide to spend the summer there as well). Everything is falling into place; I found out that I will be living with a host family and have the opportunity to practice speaking French and I was also offered an internship with Clear Europe, a small political communications firm. I’m eager to get on that plane but I have also been reflecting on the concepts I learned from the QU301 workshops. During our workshop I found the concept of a separation phase very interesting because I had never thought about how my rite of passage could affect others. It is easy to become selfish and think that a study abroad journey does not affect anyone but yourself. However this is not always the case. While this may not ring true for everyone, my parents will be supporting me financially oversees. My actions on this journey will need to be held accountable to these very important stakeholders. On page 10 in the introduction of Richard Slimbach’s book “Becoming World Wise” the author claims, “Developing a nuanced understanding of our host culture, and grasping our potential to either benefit of damage it, takes time and intentionality.” This quote echoes a sentiment of the workshop teachings. We were told to prepare even before we left for our journey by researching our country in areas such as politics, language, and culture. This knowledge will be reflected in how we behave once we reach our new countries. On an even earlier page Slimbach writes, “It is possible to study—in English—international business in China, international relations in Brussels, international law in South Africa, public health in Kenya, renewable energy in Iceland, film in India, and art in Florence” (6). I will be doing exactly this and studying international relations in Brussels with an end goal of learning how to think differently or at least with a new perspective. Studying and working in another country will boost my cognitive abilities and allow me to see problems from many angles. 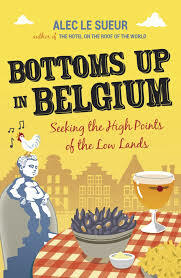 The travelogue I chose to depict Belgium is a collection of stories written by Alec Le Sueur titled, “Bottoms Up in Belgium.” Le Sueur is originally English but he married a Flemish woman and relocated to Belgium, a land he had never traveled to before. The author is quick to pick on Belgium but he also highlights the many different cultures that reside inside of the Belgian border. Belgium hosts French, German, and Dutch populations and not everyone seems to like each other and work together to run an efficient state. Additionally the city I will be living in, Brussels, is the capital of the European Union so many other countries will be represented. While Christmas is one of my favorite holiday’s, the conversations are mostly predictable. For people like myself, who spend Christmas Eve with individuals that I tend to only see once a year I get the full spiel of questions starting with “What’s new? How’s school? What grade are you in now? What are you studying, again?” On a typical year I state the obvious facts: my university, grade, major and how I have zero idea as to what I’d prefer my full-time career to one day be. However, this year, I was able to bring something else to the conversation. Telling extended relatives and family that I will be studying in the French Riviera at an exchange school was definitely not the conversation that they had imagined, nor did I. It is still surreal to me that in a little under two weeks I will be departing on what I consider to be the journey of a lifetime. Unknowingly, my relatives began inquiring about Separation phase of our Rites of Passage that we too discussed back in November. They began asking questions involving my living arrangements and how I would adjust, if I knew anyone else involved in the program and most importantly how my parents and I felt about my safety in France under obvious, current conditions. This comes as one of my biggest challenges before I embark on my journey. While separation is pertinent to my travels, I also need to stay in close contact with my parents to ensure them of my safety at all times. 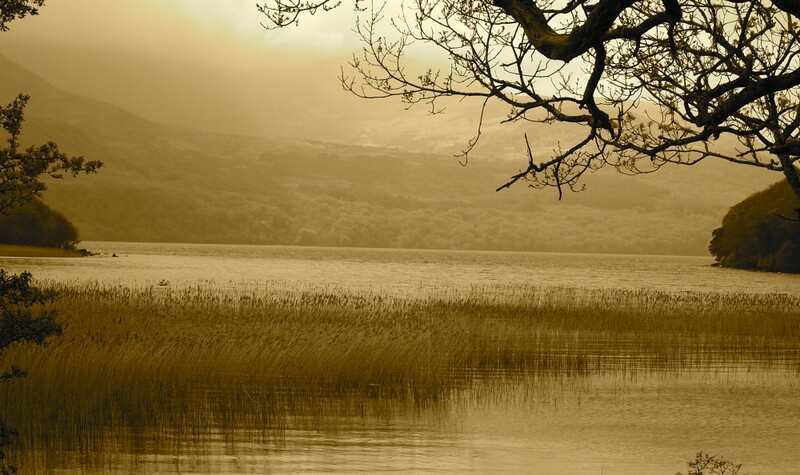 As Slimbach writes in Becoming World Wise, “More than likely they will experience a weakening attachment to family and place and gradually branch out…” it is an important part of the journey to detach from what is known and enter the unknown. While at first this might be scary since there is so much unknown for my parents and I, over the weeks abroad and my experiences of me branching out, I am confident that some of their and my anxiety will be relieved. I would be naïve to think that I could say I was studying abroad in France and not told to be cautious of my safety. It is only a natural response to everything that’s occurring the in world today to constantly be aware of our surroundings—a concept that Slimbach touches upon in the very opening pages of his book. Even without current terrorist incidents and various other concerns in our global news, an open perspective and an attentive eye is crucial to my upcoming experience. Even if it is as simple as noticing what the local townspeople’s habits, particular restaurants that are more expensive than others, or where the hotspot tourist locations are, it is imperative to notice my surroundings at any given moment. After some time of course, noticing these things will become second nature. As Slimbach writes “One of the great joys of educational travel, in whatever form, is to experience familiar things with an unfamiliar context” (pg. 5) I can already relate. When I visited London and Paris briefly a few years back, within days I felt assimilated to the culture in some aspects. I noticed in Paris how everyone sat on the same side of the table for better people-watching views of individuals going about their daily lives, but I also felt a similar connection to places such as New York City, where people-watching might be done more discretely than sitting on the same side of the table, but it still occurs. I am eager to read the rest of this book and have it guide me on my journey, constantly pushing me as Slimbach writes in the introduction “This text will assist anyone who is intent on having his or her whole being—body, mind, and heart—stretched through the intercultural experience but who perhaps is unsure about how to prepare for it or fully benefit from it” (pg. 6). Yet, this is not the only book I am excited to have as a guide while I embark on my journey. When having to chose a travelogue I had a difficult time since there were many novels that peaked my interest. 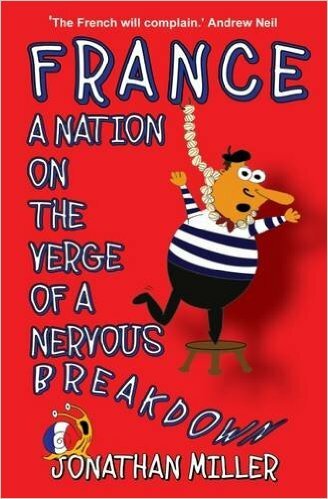 However, finding humor in satire, I chose to pick one that captured both a love for the French but also highlighted various paradoxes in their culture. “France, a Nation on the Verge of a Nervous Breakdown” written by Jonathan Miller aims to point out their educational, legal and cultural paradoxes that they pride themselves on. I chose this travelogue so that I am able to have one novel push me educationally, spiritually and physically but also have another informative novel that I can rely on for comic relief. While I am anxious, excited and unpacked, I can not wait to board a plane on January 4th 2016, knowing that when I arrive on the other side of the “pond”, it will be home for the next four months.